The day started with a very long line wrapped behind the convention center and out to the Marina. Comic Con International were on their game with organization of the crowd and made the process of getting into Hall H very smooth. Once inside it was not very long before panels would begin. 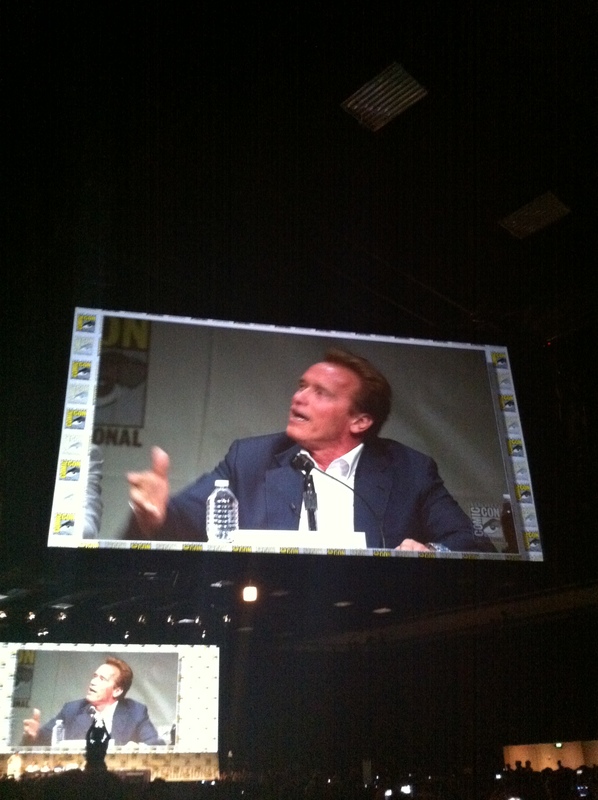 The day’s panel roster was Trailer Park, Twilight, Disney movies, Jackie Chan, and the Expendables 2. The trailer park is basically a time/space feeler. For those that do not know, the Trailer Park is a series of various film trailers. This year, Real-D 3D was a co-sponsor and the crowd was given trailers for Ice Age, Find Nemo, Resident Evil and more in the third dimension. Nothing too exciting to report about what was shown; most of the trailers had already been online for a while but the the 3D was nice. Next up was Twilight. Now I know many people groan at the sound of that title but this year, the twihards and fanboys were both cheering. 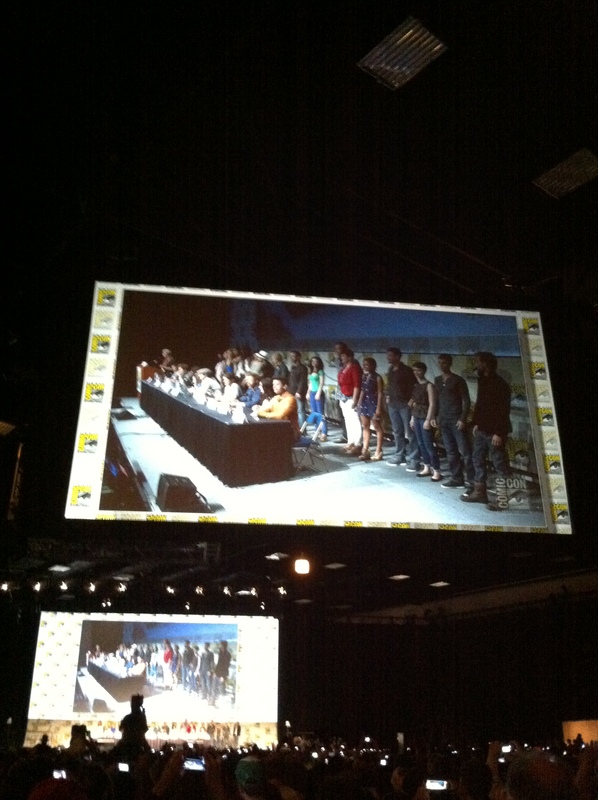 This year marked the final Twilight movie panel to ever grace Hall H of Comic Con. (finish doing the happy dance, I can wait … ok, you good? Let’s continue). Since I do not know much about the movies or books, I cannot say much about it. The director sent a video message thanking the fans and sent the first 7 minutes of the film. Kristen Stewart, Taylor Lautner and Robert Pattinson were on stage along with the stars that played the Cullen Family. Toward the end of the panel another dozen or so actors from the various vampire clans also came out on stage (it was a BIG group) I have to admit it was an impressive showing for a franchise’s final con appearance. 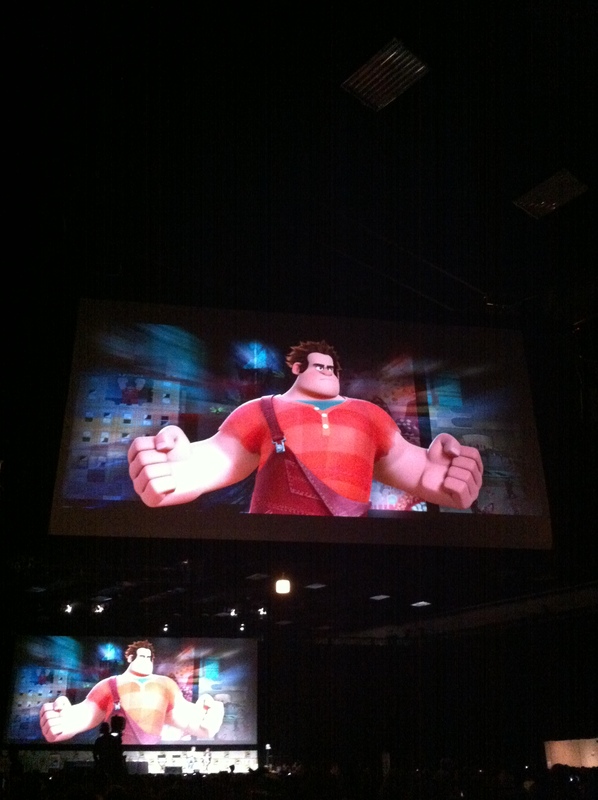 Following Twlight, the “House of Mouse” brought Frankenweenie, Oz the Great and Powerful and Wreck-It-Ralph to the stage. Tim Burton joined moderator Chris Hardwick to discus the expansion of his original short film Frankenweenie and the fun of making the film. There was an extended trailer shown (in 3D) and Burton talked about the fun of working with the medium of puppets and stop motion to make the film. Sam Raimi, Mila Kunis, and Michelle Williams came to stage next to debut the teaser for Oz the Great and Powerful. Raimi explained the title character (played by James Franco) as a performer and adulterer whose was struggling in life that tries to escape a perdicament via weather balloon which we all know gets swept away to a magical land. There he meets three sister witches (played by Kunis, Williams, and Rachel Weiss). The footage looked VERY similar to Tim Burton’s Alice in Wonderland from a couple years ago. There will be some recognizable references to the original Wizard of Oz movie, but this film will be more related to the books – no ruby red slippers but there are flying monkeys! The footage has already been posted on line by Disney if you want to google it. No Disney Comic Con panel is complete without a “surprise.” Disney usually has one more thing to show fans and this year was no exception with the debut of a teaser for the upcoming Lone Ranger film. Starring Armie Hammer and Johnny Depp the audience was treated to flashes of the old west and train robberies and then finally the reveal of the Lone Ranger and Tonto (Hammer and Depp respectively). The teaser had lots of actions, killer music and was very fast paced which excited fans. Only time will tell if this movie will do better than Disney’s last flop (but still an awesome movie) John Carter. The third panel of the day was for Jackie Chan’s next film Chinese 12 Zodiac which he has been working on for five years. Chan immediately clarified that this is not his last film, he is only retiring from the exhausting stunt work films that made him famous. The movie is about a thief (Chan) who steals something very valuable and ends up embroiled in an international conflict. The film has lots of action and will feature the classic Jackie Chan outtakes during the credits that Chan is also well known for. Other than that, there was not much to say about the session. Overall, it was a great day of panels worth the long lines. For more details, check out the Forbidden Panel PanelCast, Episode 100!